Representing today’s most cost-effective and dependable UV lasers, excimer lasers enable disruptive innovation in various growth industries. Excimers are pulsed gas lasers that deliver high output power and pulse energies in the ultraviolet and deep-ultraviolet wavelengths. This enables them to power applications that cannot be supported by other laser types. These qualities expand the range of applications and boost market demand in contrast to most other types of gas lasers. Some applications underpin extremely important technologies, including microelectronics, flat panel displays and ophthalmic surgery. Consequently, the appeal of excimers is as much about their unique and diverse applications as the lasers themselves. This article reviews basic excimer technology, examines the properties of excimer laser output, presents advances in excimer technology, and then looks at some of the more interesting applications. Excimers are powerful, gas-based lasers that directly generate intense, short ultraviolet pulses, without the need to resort to complex wavelength conversion schemes. No other type of ultraviolet laser offers this high pulse energy and high output power. Figure 1. Comparison of output powers of UV laser technologies. The heart of the laser is the discharge tube. This is first filled with a low-pressure mixture of an inert gas (e.g., krypton, argon, xenon) and a halogen or halide gas (fluorine or hydrogen chloride), and then pressurized with an inert buffer gas of either neon or helium. The laser tube has two parallel electrodes running almost the entire length of the tube. The laser is pulsed by discharging across these electrodes. This stripe-shaped discharge lasts from 20 to 50 ns depending on laser gas, laser parameter and discharge pulser design. The resultant plasma contains a high concentration of an excited transient complex (e.g., ArF, KrF, XeCl, or F2), which emits ultraviolet laser light. Among the most commonly used wavelengths are 248 nm and 308 nm. Figure 1 compares the output power of today's UV laser technologies. Excimers possess very high cavity gain, so it is not necessary to use a multipass cavity. In fact, the high gain makes possible a variety of resonator designs, such as unstable resonators. The resonator is defined by two optics, the rear mirror and the output coupler. This direct UV generation without any frequency doubling (Figure 2) is the reason why excimer lasers yield such high amounts of UV power with unmatched pulse stability. The spectral bandwidth tends to be broader in excimers than many other lasers, partly because of the absence of a cavity. But narrowband output can be achieved for applications such as microlithography by incorporating wavelength selective optics (e.g., a grating) in a low-power oscillator cavity whose output is then amplified in a second, higher power plasma tube. Figure 2. Example of a resonator design. A large cross section, high-voltage discharge in a high-pressure gas requires a start-up electron density of 107to 108 / cm3. In the majority of commercial excimers, this is created by a pre-ionization discharge whose characteristics are critical to the quality of the output. This is so because the shape of the beam is defined by the shape of the gain region, i.e., the shape of the plasma. In a typical excimer, the spacing of the discharge electrodes leads to a multimode output beam that has a typical rectangular cross section of 8 mm × 20 mm. Most applications require good beam homogeneity, which means maximizing the plasma uniformity. This, in turn requires a highly uniform pre-ionization discharge. 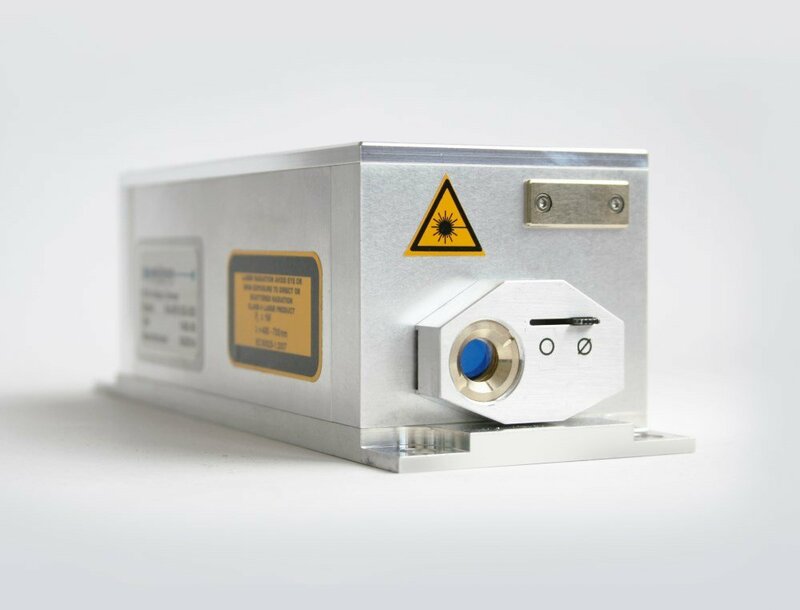 Early excimer lasers suffered from reliability and limited lifetime issues resulting from the high operating voltage (up to 40 kV) and the use of corrosive gases (F2 and HCl). But, innovations have changed the situation, improving the excimer’s ease of use and reliability, while extending gas and tube lifetimes by orders of magnitude. Excimers are now simpler to use and much more cost-effective, which has had a major positive effect in enabling them to penetrate industrial and other commercial applications. One key area of innovation has been the laser tube and its internal components. For example, Coherent utilizes Novatube technology. This is an all-metal/ceramic tube construction (Figure 3) which renders the laser resistant to the corrosive gases and high-voltage discharge. Figure 3. The use of all-metal/ceramic construction in excimer laser tubes delivers a dramatic impact on gas lifetime and overall tube lifetime. Another advance is in the area of pre-ionization. In early tubes, the high-pressure gas was often pre-ionized by a spark discharge to a set of metal pins arranged along the length of the tube. This resulted in a very efficient discharge and high pulse energies, but pin erosion caused tube dust that limited the gas lifetime and interval between optics cleaning. In high pulse energy models for high-throughput industrial applications, the pin discharge has now been replaced by a ceramic sliding discharge. Here a rod of ceramic between the pre-ionization electrode and the pins spreads the discharge into a sheet, eliminating the destructive sparking. In lower power lasers, a corona discharge is used for pre-ionization, optimized to deliver a high degree of beam homogeneity. Improved gas filtration systems have further reduced the build-up effects of chemical and dust by-products in the tube. These include an electrostatic gas trap for dust as well as a cryofilter that chemically scrubs the gas. Thus, gas stays pure for a much longer time, eliminating the need for frequent refilling. Dirt build-up on the tube optics has been similarly reduced. As a result, excimer lasers can now provide gas lifetimes as high as 100 million pulses at 248 nm and 193 nm, and corresponding mean tube lifetimes of greater than 10 billion laser pulses respectively. And in industrial-grade excimer lasers, optics cleaning intervals can now be as high as 1010 pulses. Optics lifetime has been further extended by the use of an external resonator. Instead of terminating the laser tube in a mirror and output coupler, the tube is sealed with windows. This completely eliminates dirt build-up on the mirrors, and also makes beam pointing stability independent of thermal changes in the tube as the pulse repetition rate is varied. Moreover, the windows are now mounted in slide valves in many lasers, enabling them to be cleaned and even exchanged without allowing air into the laser tube. Power supply reliability has been dramatically improved by replacing the gas thyratron high-voltage switch with a solid-state pulsing device. 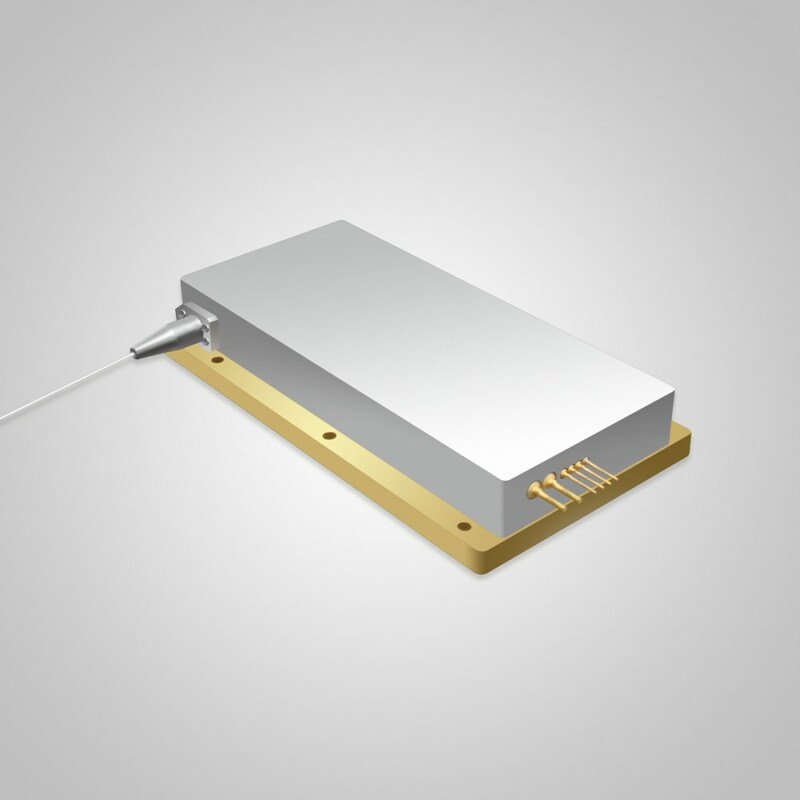 These solid-state switches have been available for some years in the smaller lasers used for scientific research and industrial R&D projects. This technology has been extended to higher pulse energies, so even the largest industrial-grade excimers now employ all-solid-state pulsing. One of the major advantages of high-power, deep-UV output is the ability to perform cold ablation in material processing and surface transformations. Longer wavelength lasers act as localized intense heat sources, removing material by boiling it off as liquid and/or vapor. Unfortunately, this heating affects surrounding material and can cause peripheral damage. In contrast, high-energy UV photons are directly absorbed by the interatomic bonds in many materials. This allows the excimer laser to directly break atomic bonds without bulk heating of the material — a relatively cold process called ablation. Coupled with the short output pulse duration of the excimer, this enables materials processing with virtually no peripheral damage — the so-called heat-affected zone. Short wavelength also delivers high spatial resolution. The smallest spot or mask image that can be projected onto a worksurface is ultimately limited by diffraction, and diffraction has a linear dependence on wavelength. Thus, shorter wavelength lasers can create smaller features. Figure 4. Micrograph of a laser-machined human hair. The combination of high spatial resolution and cold ablation means that the excimer is a good source for micromachining, with the ability to create tiny features with no thermal damage, even in delicate and/or thin materials (Figure 4). In addition, the high pulse energies up to 1050 mJ mean that high-resolution ablation can be performed over a large area simultaneously — by projecting a mask image over a large area. And with pulse repetition rates as high as 2 kHz, the excimer is now an ideal tool for high-throughput micromachining applications. A key example of cold micromachining is inkjet nozzle drilling. Inkjet printers work by ejecting ink from a printhead consisting of a matrix of small, closely spaced holes to produce a high-resolution color pattern on the paper. A critical production step is drilling this array of tiny holes in the printhead’s plastic membrane (Figure 5). Figure 5. Excimer lasers are critical tools used in the manufacture of the majority of inkjet printers. This micrograph shows a single nozzle hole with a flow channel. Courtesy of Lexmark. The majority of inkjet printheads are fabricated using high-power excimer lasers operating at 248 nm or 308 nm. The laser beam is used to project a demagnified image of a photomask (a pattern of circular holes) onto the membrane. The high fluence of industrial excimer lasers allows printhead manufacturers to use larger optics and larger masks and thereby increase process throughput and reduce manufacturing costs. Excimers have had an impact on flat panel display (FPD) technology. A key FPD manufacturing step is the production of a uniform, thin layer of silicon over a glass panel substrate. However, the vapor deposition process produces an amorphous layer of silicon. This must be transformed into polycrystalline silicon in order to yield the requisite electrical and photonic properties for high-resolution displays — most importantly high electron mobility. This transformation can be achieved by thermal annealing in high-temperature (600 °C) ovens, but this necessitates the use of expensive, thermally resistant glass. Furthermore, even with this glass, thermal cycling can cause cracking and corresponding yield reduction. An alternative is excimer annealing. In this process, a 308-nm excimer beam is reshaped into a thin line and scanned across a glass substrate panel to cause low-temperature (200 °C) annealing (recrystallization) of a thin silicon film. The thin line profile delivers the high power density required for successful annealing, while enabling fast processing of large-area panels. These large panels are later cut up to form the final displays. The ability to perform this process at lower temperature has had a critical impact on display manufacturing cost because it eliminates the need for processing expensive, heat-resistant glass panels in high-temperature ovens. It also eliminates yield reduction due to thermally induced cracking. A variant on this annealing process, sequential lateral solidification (SLS), has been developed to support the fabrication of the high-brightness displays used in mobile phones, digital cameras and PDAs. SLS uses a photomask to create a pattern of fine, evenly spaced lines, resulting in a striped pattern of alternating lines of amorphous and polycrystalline silicon. The panel is then stepped so that the remaining amorphous strips are re-crystallized. This two-step method causes the Si crystals to grow in the plane of the panel, which has several advantages. The result is a very productive process that yields excellent polycrystalline structure of the silicon with high electron mobility. The output from a 193-nm excimer can be used to precisely ablate small amounts of human tissue without any thermal effects on surrounding tissue. This is the basis for ophthalmic surgeries to correct vision problems, such as photorefractive keratectomy (PRK) and laser-assisted in situ keratomileusis (lasik), which change the radius of curvature of the cornea (Figure 6). Figure 6. In photorefractive keratectomy, the excimer laser is used to reshape the curvature of the cornea. In PRK, the laser directly removes material from the cornea’s surface. This can be done using a laser with a large beam size, high pulse energies and a repetition rate of up to 50 Hz (wide field method) or by using a laser with a small spot, lower pulse energies and high repetition rates up to 500 Hz (flying spot method). In lasik, a thin circular flap is first cut into the cornea using a microkeratome or femtosecond laser. The flap is then folded back in order for the laser to remove the corneal tissue underneath via ablation. After the ablation is complete, the flap is placed back into position. Key laser parameters for both applications are pulse-to-pulse energy stability and a high degree of beam homogeneity — particularly for wide-field surgeries. Excimers are critical in the production of small-feature, high-density integrated circuits. The laser is used in the microlithography process to create the pattern on semiconductor wafers. Both 248-nm and 193-nm lasers are employed, depending on the resolution required. In the simplest implementation, the laser beam is homogenized and used to project a mask image onto a photoresist covering the wafer surface. Figure 7. Schematic of a typical beam-delivery system. UV-grade fused silica and calcium fluoride are the only practical lens materials at 193 nm, making it very difficult to correct for even tiny amounts of chromatic aberration. This has necessitated the development of line-narrowed, grating-controlled excimers using two laser tubes in an oscillator/ amplifier or oscillator/power oscillator configuration. Because of the difficulties associated with extending microlithography to the shorter 157-nm wavelength, process engineers and optical designers have instead become creative with the 193-nm process. Various resolution enhancement techniques such as phase shift masks have allowed them to design systems to reach a line density of 65 nm — far beyond the diffraction limit available from simple mask projection. Employing immersion lithography in which the higher refractive index of water, for example, is used to further reduce the resolution limit, enabling application of advanced 193-nm excimers down to the 45-nm node. When a surface is irradiated with an optimum intensity of excimer laser photons, the high-energy photons break the interatomic bonds in a way that allows the atoms to migrate freely. This can be used to modify chemical, physical and tribological surface properties. All of these modifications are key to a cylinder treatment method for greener diesel engines using a 308-nm excimer laser, codeveloped by Audi. In this application, graphite microcavities in the cylinder wall are opened that act as oil reservoirs and reduce the friction. In addition, hardening of the surface is achieved by forming a nitride layer on the surface from the ambient nitrogen (Figure 8). Figure 8. UV hardening of automotive cylinder surfaces. Courtesy of Audi AG. In controlled tests at Audi, the wear to the cylinder walls in their TDI engines was reduced by 23 to 89 percent by this new process, depending on the engine duty cycle. Corresponding wear to the piston rings was reduced by 30 to 88 percent. In the case of the V6 engine, oil consumption was reduced by 75 percent during an 800-hour test. Since piston ring friction is by far the biggest single friction loss mechanism, this new process also leads to decreased fuel consumption. Pulsed laser deposition (PLD) is a relatively new process that appears to have wide applicability. Here, the beam is used to ablate material from a target. The material is redeposited on a substrate. If the process is properly optimized, the stoichiometry and layering of the deposited material can be very precisely controlled. 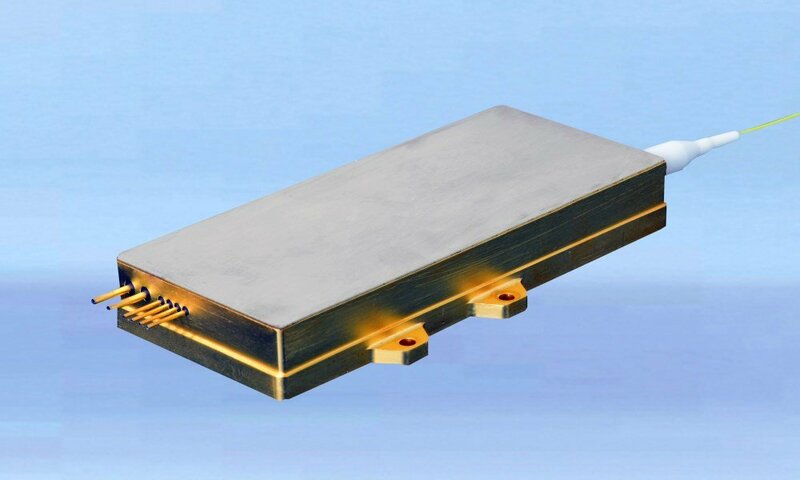 The growth of these PLD applications has been supported by the development of mid-sized excimers that deliver a homogeneous beam at high energy density. Various industrial manufacturers of coated conductors use PLD at 308 nm in the production of superconducting tape. This yttrium barium copper oxide (YBCO) coated tape is a low-resistance alternative to conventional copper wire and is now available in lengths up to some hundred meters. Excimers possess unique properties, and should continue to dominate market niches that require a combination of short wavelength and high power/high pulse energy. Advances in excimer technology have primarily targeted ease-of-use and reliability, in particular, reducing cost-of-ownership for demanding 24/7 industrial applications. For more information on excimer lasers go to www.coherent.com/excimer. Excimer lasers produce a quasi-rectangular output beam; with a typical cross section of 8 mm x 20 mm. Usually, this beam must be reshaped in order to match the needs of the process. However, these transformations cannot be made using the simple optical systems employed for lasers with well-behaved, round, Gaussian beams. Instead, specialized optics are used to homogenize, reshape and re-image the beam at the worksurface. Moreover, the optics used in these beam-delivery systems have to employ coatings that have been designed to withstand exposure to high-energy pulses of deep-UV light. Manufacturers such as Coherent Inc. offer applications-specific, off-the-shelf beam-delivery systems based on standard and custom modules. The basic modules of a generic beam-delivery system are illustrated schematically in Figure 7. In such systems, the different dimensions of the two (X, Y) axes frequently require the use of cylindrical optics. And in practice, some applications will not need every component. For example, in FPD annealing, the beam is focused down to a line at the worksurface, and the delivery system does not include a mask. The first elements in a system for transforming excimer output are typically a beam expander and intensity homogenizer. The purpose of the expander is to match the beam dimensions to the homogenizer and subsequent delivery optics. The homogenizer produces a beam with a very flat intensity profile, which enables uniform processing at the workpiece over the entire illuminated area. The homogenized beam then passes through a photomask, and finally is imaged onto the worksurface using a demagnifying projection lens. laser head. Is there an easy method of doing this.